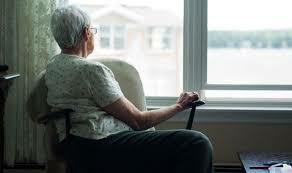 Researchers at the University of Queensland’s Institute for Social Science Research are looking for older adults living at home to volunteer for a study on loneliness and daily activities. The hope is that this research will contribute to improving programs which support the quality of life for older adults. The study involves filling out a questionnaire on your subjective wellbeing and also writing down your activities over a 24-hour period in a time diary. Jubilee Community Care Brisbane is assisting this research by mailing out this questionnaire, which should arrive in participants’ letterboxes soon. Participation in this project is entirely voluntary. If you are interested in helping this important research, please complete the questionnaire and return it by post using the stamped return envelope. To thank you for your time, all participants in the study will be entered into a prize draw for a $200 Coles/Myer gift card. Some participants also will be invited back to provide more information about their activities. If you are selected, you will be asked to keep a time-use diary over a period of two weeks and to wear an actigraphy watch – a device similar to a Fitbit that can record your movement digitally. Researchers will also invite you to talk about your daily activities in an interview. Participants in this in-depth part of the study will each receive a $40 gift card. For more information, please contact lead researcher Dr Jack Lam by email at j.lam@uq.edu.au or phone 3346 7630. This study is conducted by the Institute for Social Science Research and the ARC Centre of Excellence for Children and Families over the Life Course.